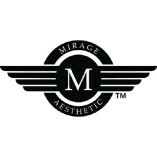 "Skin booster" "Clear skin" "Dark eye circles" "Fat freezing" "Teeth whitening"
The Mirage Aesthetic is Singapore based leading name known for providing the best fat freeze treatment. We have 10 years experience in this field and it is the first botanically inspired aesthetic centre where quality comes first. The Mirage... Aesthetic has built a reputation of excellence, winning multiple award in recognition for our service and treatment provided.